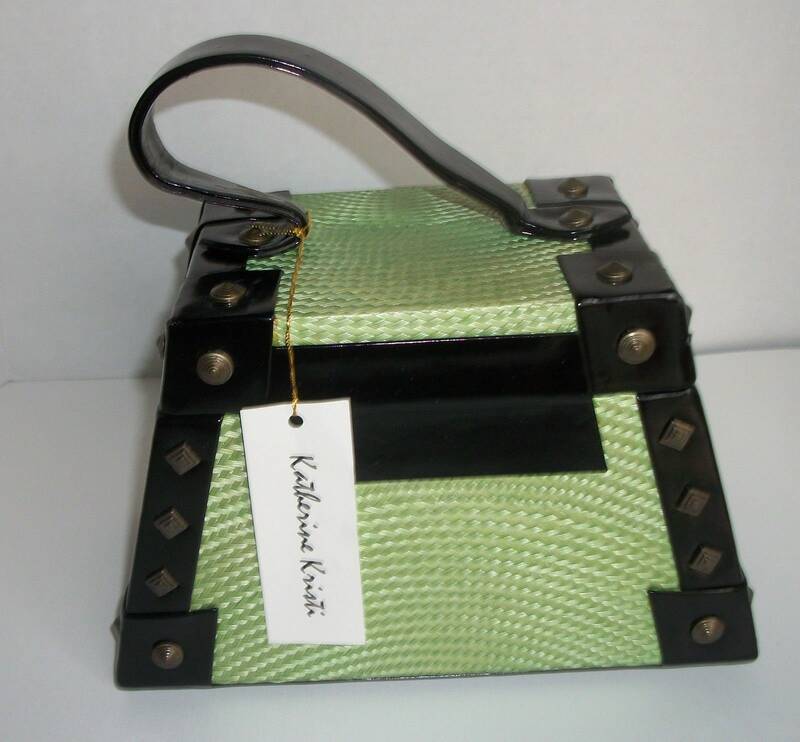 Vintage Katherine Kristi trapezoid-shaped handbag with shoulder strap. New with tags from the 90's. 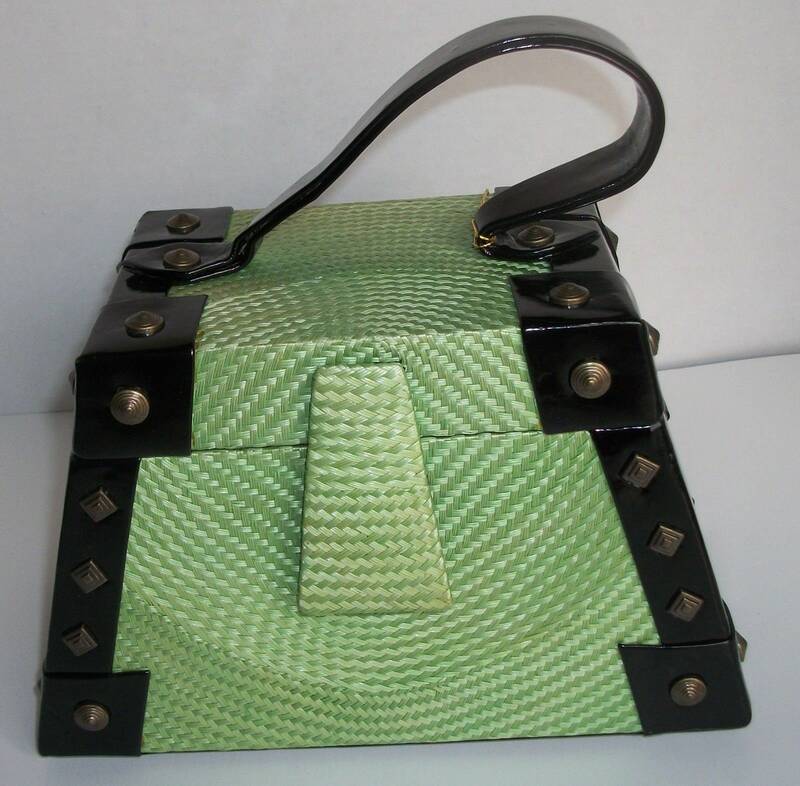 The body is a green woven vinyl with patent-leather look black vinyl trim along the edges, bottom and top handle with a 4 inch drop. Added decorative grommets over the black edges. Silver-tone metal handles for the removable shoulder strap. Fold-over magnet closure. Black polyester lining in the roomy interior. Mirror in the lid. 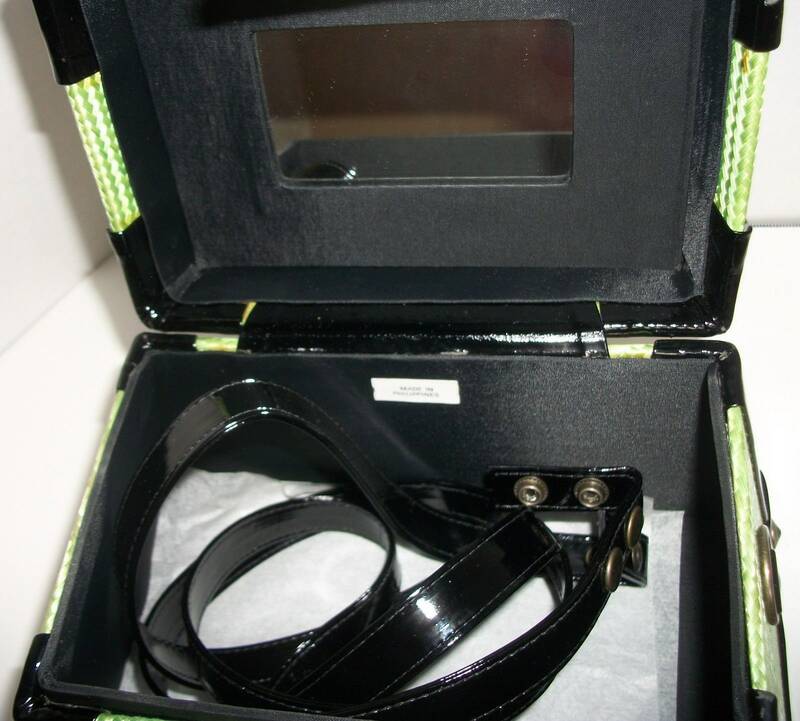 Black vinyl shoulder strap with a 22 inch drop. Made in the Philippines. Super sharp! 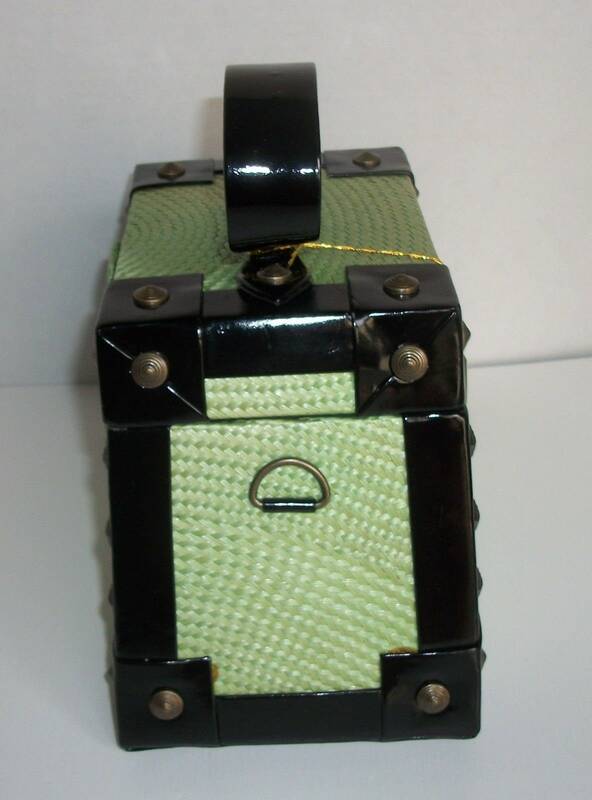 Dimensions: 8.5 inches long at the bottom x 6 inches tall x 5 inches wide.